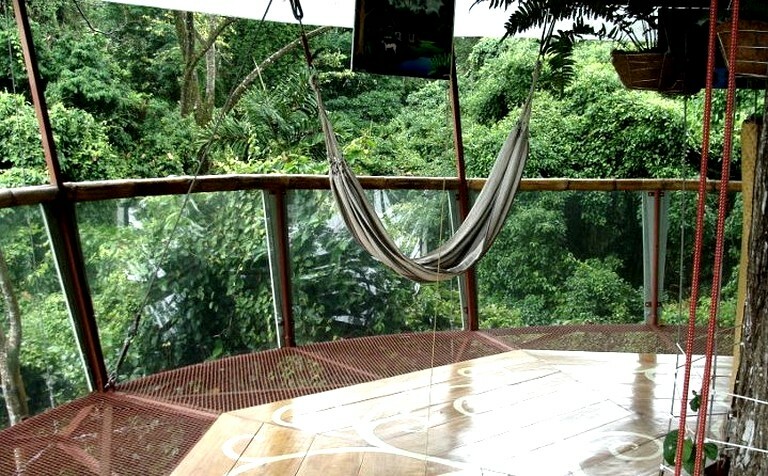 This two-level house is suspended in the air, 25 meters from the ground in the middle of the jungle. 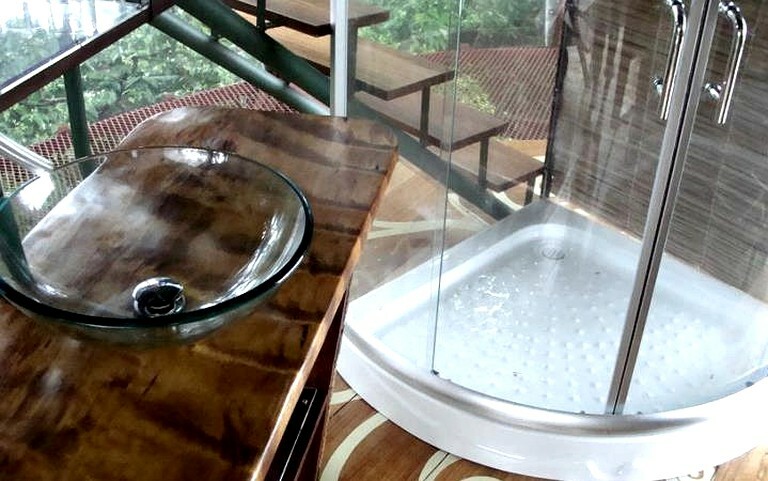 The lower level features a modern bathroom with shower, sink and eco-toilet that runs on rain water. 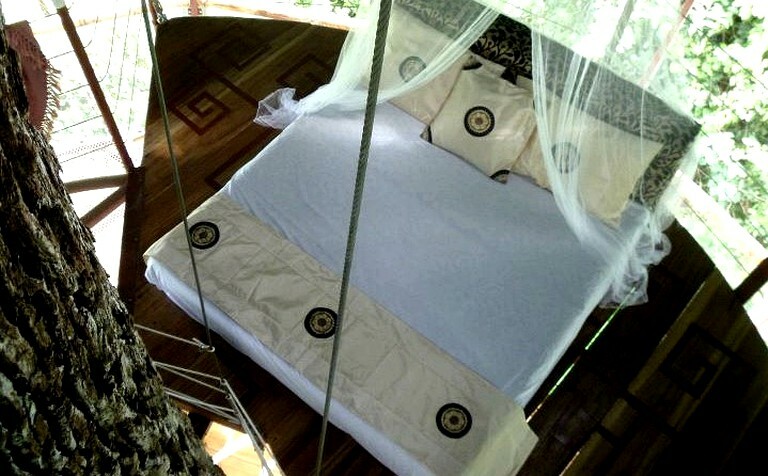 Upstairs, the bedrooms are furnished with queen size beds with mosquito nets. 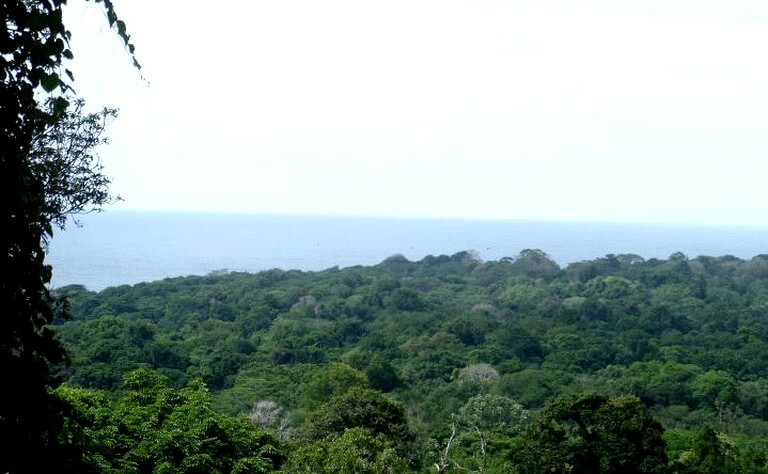 Enjoy 360 degree views of the surrounding rain forest and Caribbean sea from the observation deck with. 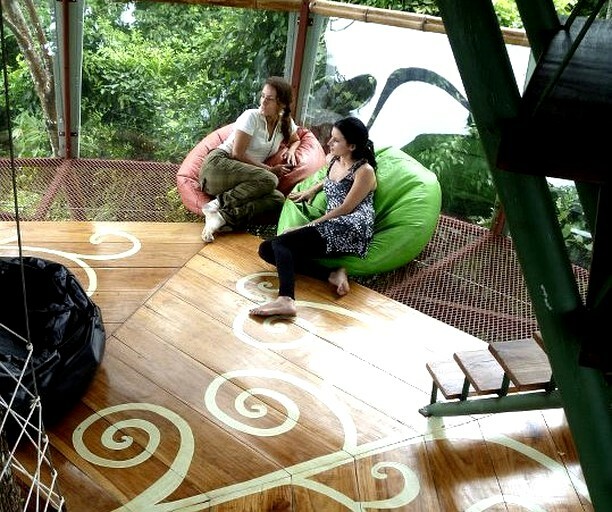 Hammocks and sitting puffs are supplied for ultimate relaxation. 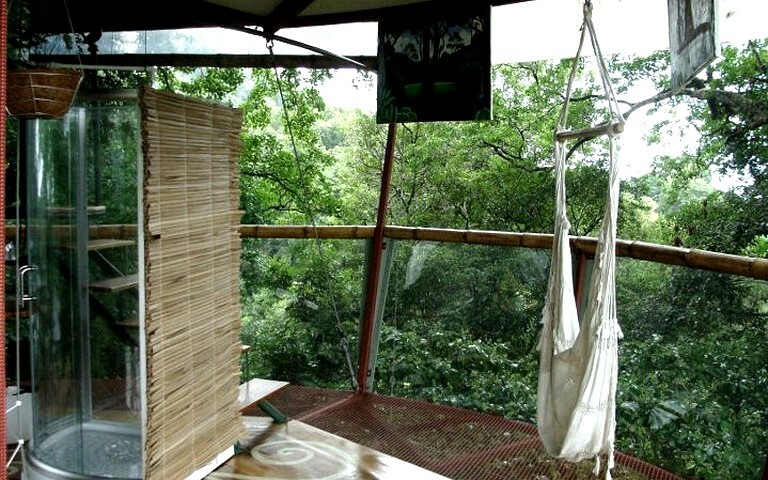 The tree house comfortably fits up to 4 guests. Guests stay connected with staff via two way radios. 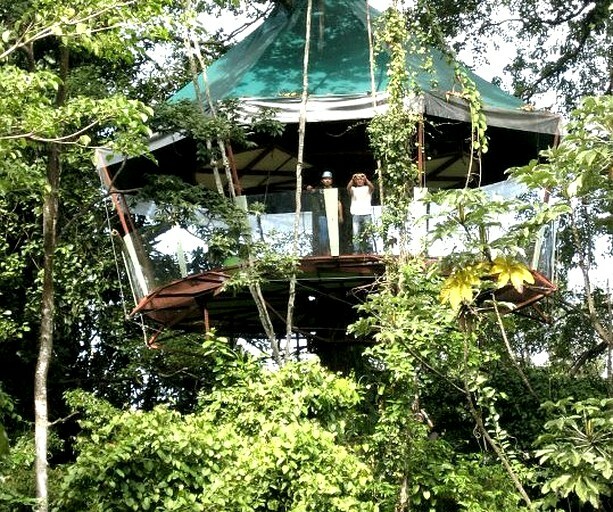 All meals are hosted in the tree house and hoisted up by staff. 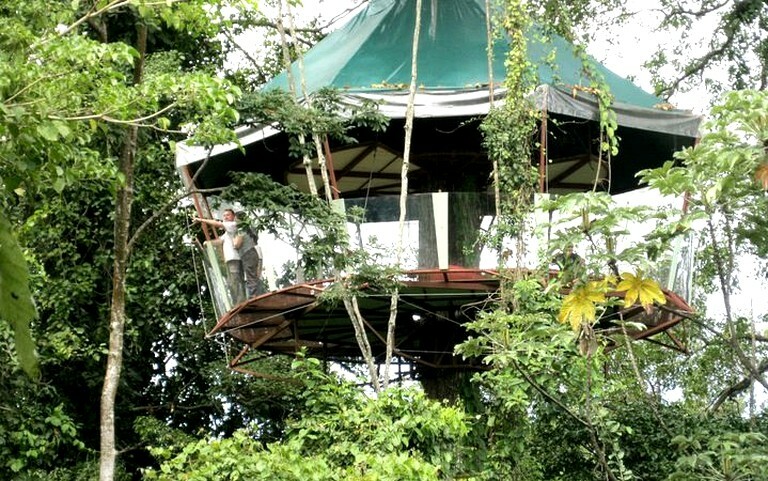 Guests are supplied with harnesses, helmets, and gloves. 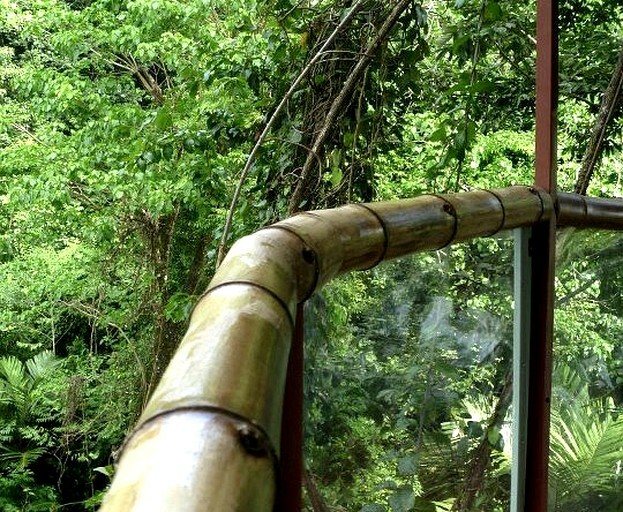 Guests are also supplied with binoculars with night vision for observation of wild life. 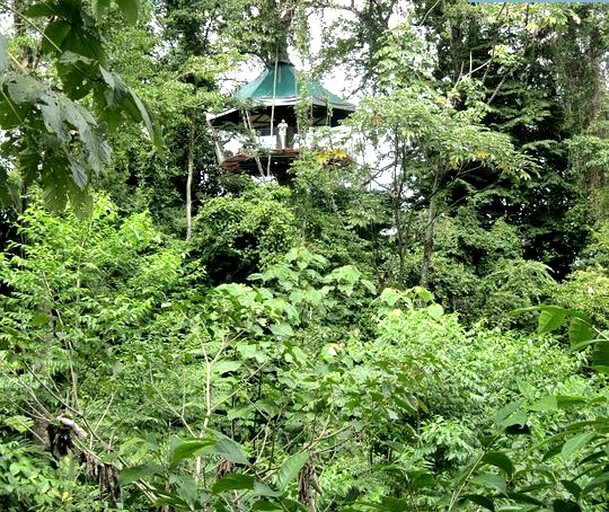 When climbing up and down from the tree house, guests are always accompanied by our Nasso tribe indigenous guides. 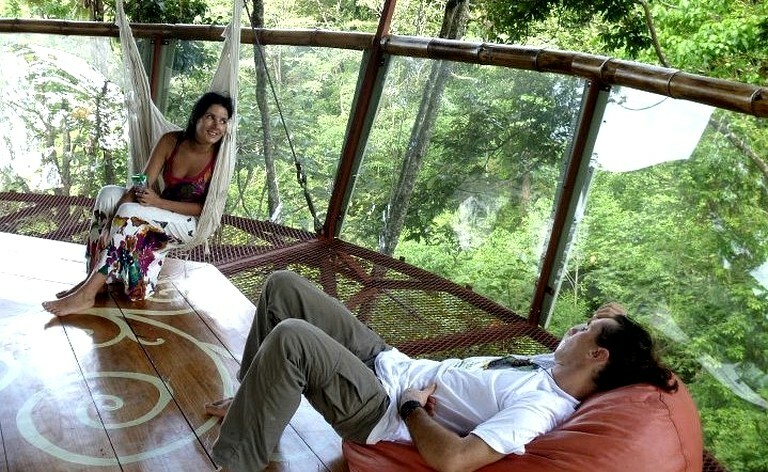 A wide variety of nature and cultural activities in the local area can easily be arranged. 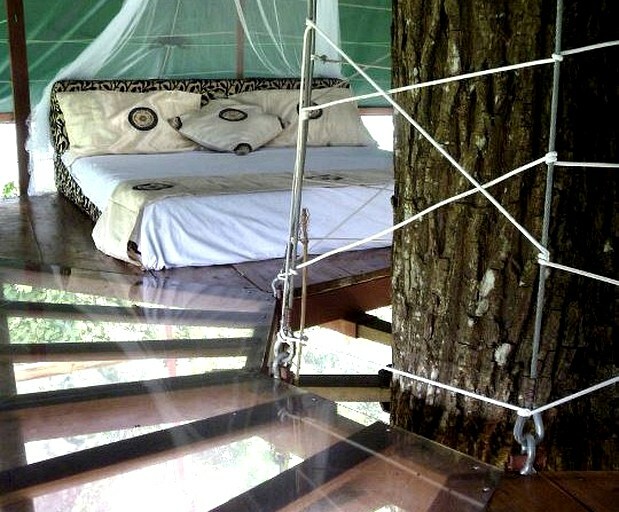 This accommodation is for only nature lovers in good physical condition.